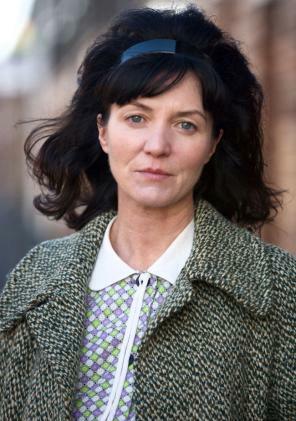 Michelle Fairley is an Northern Irish actress of film, stage and television. Born in Coleraine, Northern Ireland to well known publicans Teresa and Brian Fairley, she grew up in Ballycastle, Northern Ireland she appeared in a range of British television shows including The Bill, Holby City and Heartbeat. One of her earlier roles was as murderess Cathy Michaels on ITV1's Inspector Morse in the episode titled "The Way Through The Woods". She took over the role of Mrs. Granger from Heather Bleasdale in the Harry Potter and the Deathly Hallows films. On 19 March 2010, it was announced that she would replace Jennifer Ehle in the role of Catelyn Stark in the HBO series Game of Thrones. She has been living in London for many years. Whole or part of the information contained in this card come from the Wikipedia article "Michelle Fairley", licensed under CC-BY-SA full list of contributors here.